If you’re a student and have no money. And, in addition, you’re so hungover that you’re not able to leave your bed for a whole day – we have a solution! Tensai came back from work around midnight and found me still in bed, dying of hunger. But since he brought chuhai and vodka (and 5 mandoo, that what was left from New Year’s cooking), we started out with a little drinking. 3am, we’re starving; hunger is unbearable. Convenient store? way too far, way too expensive. What’s in the fridge? 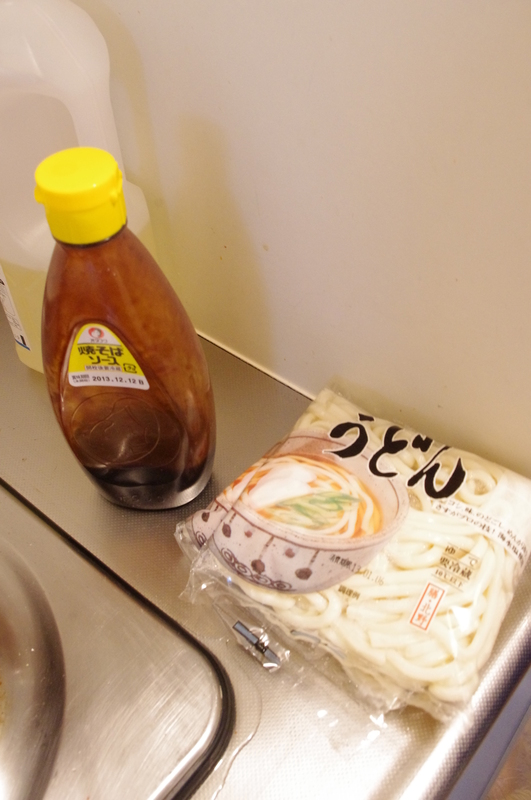 and that is how we came to make yaki udon. It’s an easy to make, delicious, cheap dish. Perfect, isn’t it? 1. Check what you have in your fridge. 3. 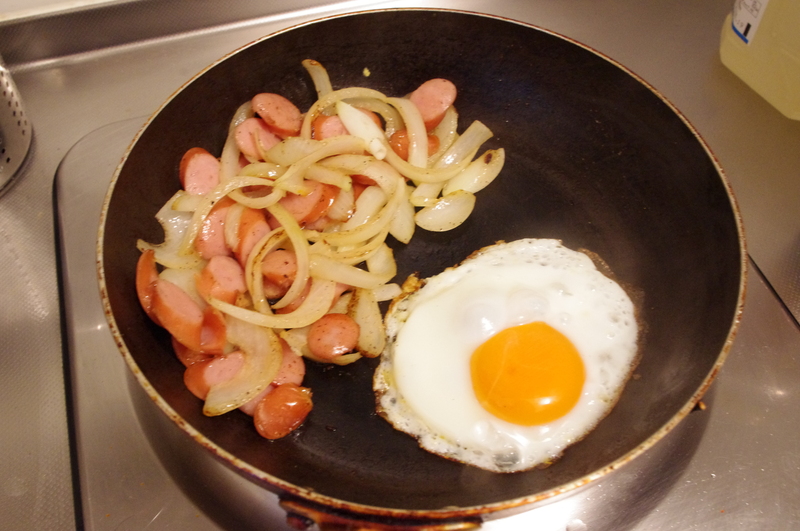 Cut the onion and sausage, thick slices. Fry them using a little bit of cooking oil. 5. Take the egg out from the frying pan. Add the udon noodles. Fry them with onion and sausage for a while. Add yaki soba sauce and fry a little bit longer. 6. When it’s ready put the egg on the top of the dish. Your recipes inspire me. I live in New York . Can you recommend where to shop? well, i live in Poland now and I usually buy stuff in shops with Asian food. but i guess you can get ingredients online, too 😉 but the best idea is to find Korean/Japanese district and try to get something there.